If you are a student wanting to make a career in nursing, then you need to know a lot about TEAS exam. This is not an easy test to pass but a TEAS test study guide can help you a great deal in this. 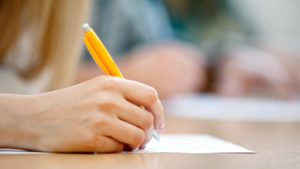 In addition to a study guide, practice tests also help a great deal. TEAS exam (Test of Essential Academic Skills) is a highly competitive exam to review the skills of potential nursing students planning to apply for nursing school. It is a requirement for students enrolling in nursing or any allied health school. The test is meant to measure a student’s knowledge of essential subjects. TEAS test works as an evaluation tool to ascertain the basic knowledge of the student in a health science program. This section of TEAS assesses your knowledge of fundamental English principles. Nurses are required to have excellent communication skills in both spoken and written English. That is why english language and related skills section are included in this test. This section consists of 28 items covering the topics English conventions, language & vocabulary and the duration of the section is 28 minutes. This section of TEAS analyzes reading comprehension, an important skill in nursing. How you perceive things when you read anything new makes a difference in the quality of patient care and that is why this section is so much crucial for you. Here, 53 questions are to be solved in a duration of 64 minutes. This section gauges your understanding of key concepts, integration of knowledge, craft, and structure. This is the most important part of the TEAS exam. It will measure your expertise in several of the sciences, such as life science, scientific reasoning, the human body and physical science. This section consists of 53 items that need to be completed in a time span of 63 minutes. 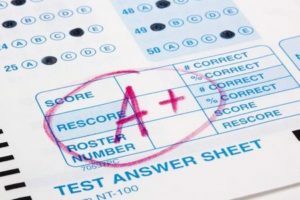 It is important to pay equal attention to all sections, as the score of each will affect your overall TEAS test score. A good TEAS test study guide will help prepare for the exam and potentially garner a higher score. How can a guide help you in scoring high marks in TEAS Exam? As you know, there will be four sections in TEAS Test. A comprehensive guide will offer you a vivid description of all topics important from the exam point of view. For instance, the guide will help you understand the basic concepts of algebra, arithmetic, measurement, numbers, etc. and you will learn new tricks to solve questions quickly. A good study guide will help you grasp the essential points. How Do Practice Exams Help? Apart from a good study guide, it is also necessary for you to opt for practice tests. The more you practice the better your chances of scoring well. The TEAS exam is an entrance exam administered by the educational company ATI testing. This helps you in gaining admission into nursing, dental and other hygiene programs. Technically, there is no pass or fail in the test. Here you display your proficiency in the different sections and score marks to secure admission. The minimum score of TEAS exam is determined by the basis of the school program that you are choosing. It is important to understand that in order to enroll in a course of your choice, you need to ensure that you obtain a good score. Ones such way of doing so is to opt for TEAS Practice Test. PrepAway TEAS practice test will help you solve all the sections within the stipulated time. This means you will be able to know and improve your speed and also determine the topics in which you are weak. A good practice test can help you improve strategically. When preparing for the TEAS exam, it is of utmost importance that you select the best TEAS exam study guide and practice tests. 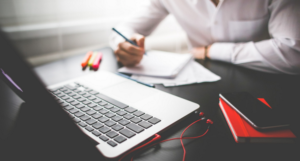 There are many study guides available online that will give you an idea of what to expect and prepare you in the best way possible.